Known as the most flamboyant city in the UK, Brighton is a hub for alternative music, eclectic vibes, and quite a bit of Indian culture. All of this mixed with a touch of royalty gives Brighton a character like no other. Vibrant, colourful, and fun are some of the features of this cool city! Located only an hour south of London, this modern seaside resort town is where The Beatles spent most of their time in the 60s, and where they recorded most of their music. Thanks to its gorgeous waterfront, Brighton is the place to find the most succulent seafood around. Brighton certainly does not have a shortage of pubs, restaurants, and lounges to hang out in and grab a drink (or two.). Check out their Royal Pavilion, an iconic palace, and museum with a hint of Indian flair. Take a walk along the North Laine; an attractive street lined with shops and restaurants that will keep you busy all day. Finally, check out the Brighton Marina and the Pier, two of the most iconic landmarks in the city. See Brighton through the eyes of locals by joining one of their popular free walking tour. Perfect for backpackers and tourists on a budget, a free walking tour will let you see the city and learn about it free of charge. Bridgton Greeters are a group of people that love their city and are excited to show it to you. The tours (which they call "visits") are approximately two hours long and can be accommodated to your particular interests. 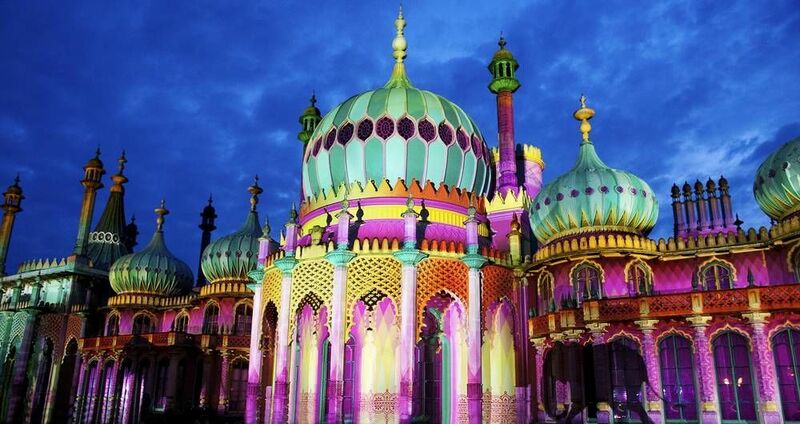 Check out the top attractions of Brighton and hear the best stories from actual citizens who love their city. You can book a tour by submitting a form and getting matched with a volunteer guide. All free of charge! Below you can find more popular (but not free) activities and tours in Brighton. Are you from Brighton and want to be a tour guide? Please get in touch by submitting your details on this page!